Lucas Arruda's born in 1983, in a Brazilian state called Espírito Santo, near Rio de Janeiro. Coming from a musical family (his dad and older brother are musicians) he started playing and listening to music very young. At the age of 13, he was also playing professionally already. After studying electric guitar and playing in various bands, Lucas passion quickly turned into Rhodes and keyboards, expanding his musical range of skills. At the same time he started a project called Du Black, with his older brother Thiago, quickly receiving various local support from people like Ed Motta, William Magalhães (Banda Black Rio), Robert Lamm (Chicago) or Hyldon (Brazilian soul legend). From the growing notoriety obtained, the band began to work with various other artists and singers such as Tamy Macedo, or Bossa Nova's legend, Leila Pinheiro, leading Lucas to build a recording studio with Thiago in 2011. 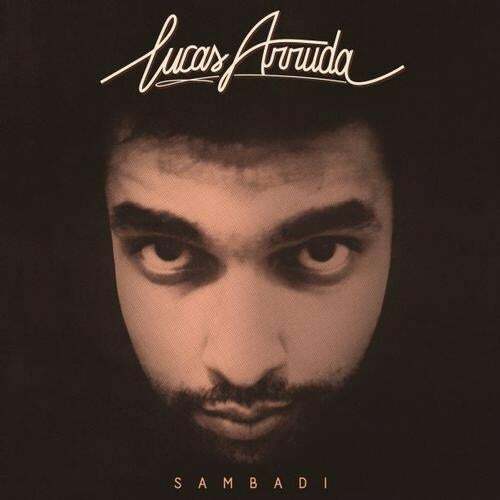 Now 2 years after he launched this home-studio, here comes "Sambadi", first solo album by Lucas Arruda! On this recording he also started to team up with Fabricio di Monaco (Modo Solar), who clearly became a fundamental piece, as Lucas relates: "Fabricio introduced me to Pascal Rioux at Favorite Recordings, as they released his EP few years ago. He's a brilliant musician and a great human being." In Lucas' words, Sambadi is highly inspired by Rio de Janeiro. As for the musical side, the album almost sounds like a tribute to his longtime heroes like Stevie Wonder, Curtis Mayfield, Marcos Valle, Azymuth, or Robson Jorge & Lincoln Olivetti. And Lucas also humbly concludes: "I really hope to honor all the guys who influenced me."